It is indeed a very wonderful experience sharing your birthday with someone you know. 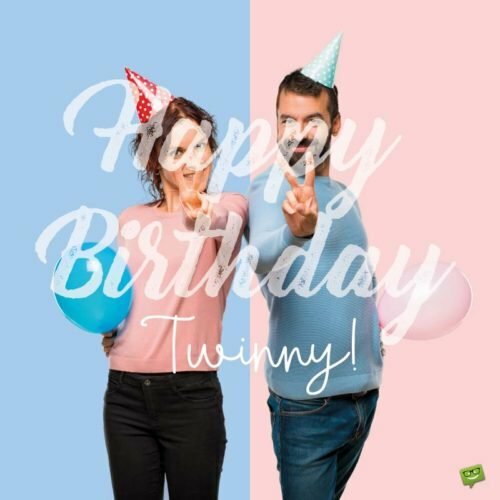 Here is a brilliant collection of a variety of coinciding birthday wishes you can share with your “birthday twin” to make that Big Day a truly spectacular and unforgettable one for both of you. Happy birthday to us! 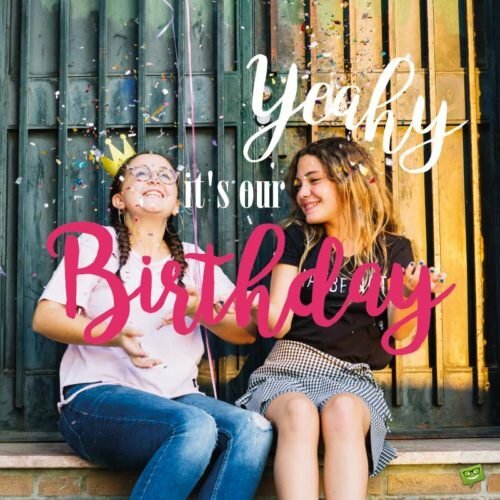 Today is truly an awesome day to celebrate an incredible person like you, and also to remind you that you will be buying all the gifts while I do all the wishing. Happy birthday, friend! I hope that even though we are birthday twins, this does not mean that we shall die on the same day. As for me, I am bent on celebrating a hundred birthdays here on earth. Your new age has completely left me immobilized with shock. Anyway have a joyful one! My sincere advice to you is to celebrate as many birthdays as you can so that you can be guaranteed a long life. Wishing my birthday buddy and me a very happy anniversary! I am looking forward to the day when our birthday will be at least one third as thrilling as we portray it on social media. I am hoping we have a lovely anniversary, birthday buddy. 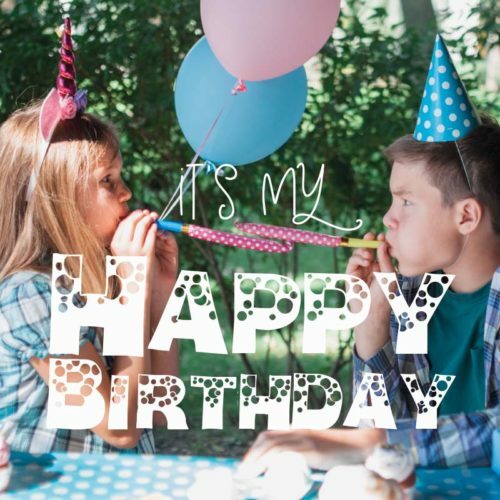 Happy birthday to you and me! May God treat us like VIPs today since it’s our special day. 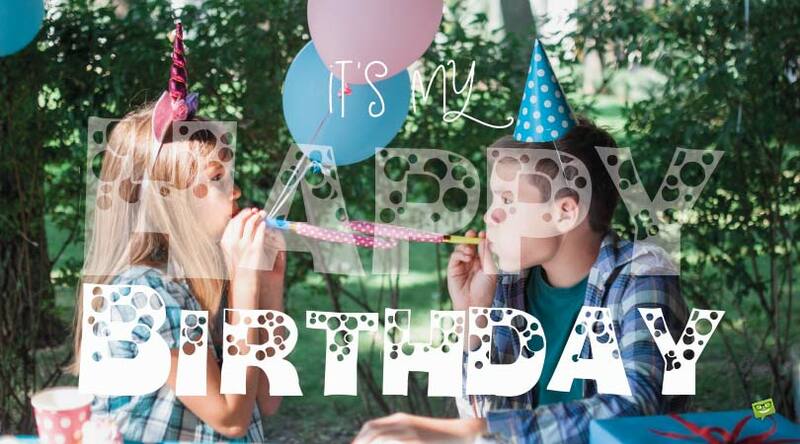 Today means so much to me because I get to celebrate two birthdays in one day. Happy birthday to you and me! The most joyful thing about being my birthday mate is that I don’t need Facebook to remind me about your birthday. Happy birthday, friend! Happy birthday, astrological twin! I am so honored to be celebrating the same day of birth with someone as amazing and magnificent as you. I wish you a very delightful celebration today. I wish you a lovely day of birth! May joy, peace, fun, and love forever be your portion and may you enjoy everything that is truly beautiful and remarkable as you celebrate this great day. I am happy that you are my birthday mate. Here’s wishing us a spectacular birthday, dear birthday mate! I am so elated to be celebrating this very exciting and lovely moment with someone as incredible as you. May all the aspirations of your heart be fulfilled. I want to use this special moment to wish us long life with many, many exciting breakthroughs ahead. Have a truly happy one, dear astrological twin! It is a gladsome experience to share the same birthday with you and I believe we should commemorate this day in a very unique way and in true hilarity. Happy birthday! The sweetest and most cherished thing in my world is knowing that I have someone very incredible and lovely like you to share the same anniversary with. I am wishing you a glorious celebration. Happy birthday to the loveliest birthday mate on this earth! I am hoping that this anniversary brings forth a great dose of joy, happiness, and fun in our lives. I can’t stop thanking the Lord for not only bringing you into my world but also making it possible for us to be born on the same day. I wish you an amazing birthday with lots of unshakable happiness and joy in it. Having the same day of birth with you excites me in such an amazing way and it makes me feel so proud and lucky. This is because you are a great role model to me. 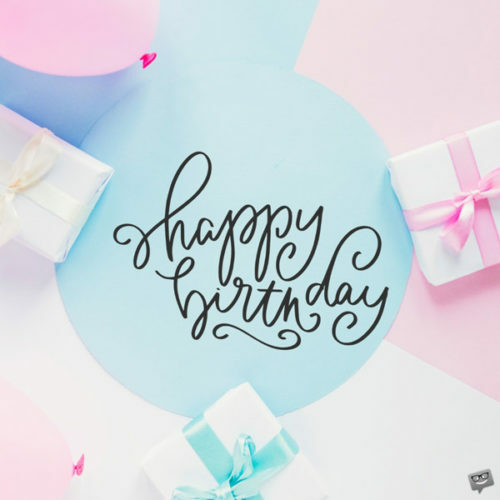 Wishing you a joyous birthday! Wishing one of the most phenomenal people on this globe a truly astounding birthday and many years of true happiness and success! It is so joyful to commemorate this unique day with a magnificent person like you. I am just so delighted that we share the most beautiful moment of our lives together. Never will you cease being my true source of inspiration. Wishing us a super fantastic birthday! Being by my side has made this journey such a successful and less stressful one for me. Happy birthday. With every step that you take, I will be right there to give you all of my full support because all I wish for in this life is to continually see those beautiful smiles on your face. Happy birthday! You might find it tiresome and stressful as you journey on this path that leads to great success, however, I believe that the treasures that lie ahead are worth every effort you make. Happy birthday, birthday mate! Happy birthday, dear birthday buddy! I am praying that the Lord will see you throughout each and every step in your zeal to succeed. I hope that this anniversary brings us good luck and everlasting happiness. I am more than inspired by the beautiful manner in which your consistent acts of bravery turns your dreams into reality. I am always glad to celebrate this truly special moment with you. Happy birthday to an incredible birthday mate! No matter the difficulties and obstacles in this life, I am 100% sure you will overcome them and get to your destination. Happy birthday! Hearty birthday! 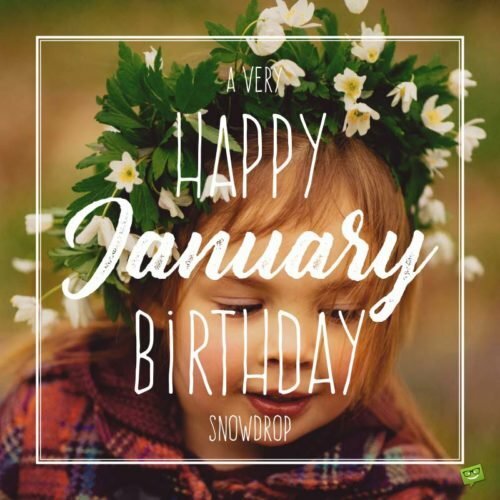 I am hoping that this birthday of ours will provide us with a ticket to the land of everlasting happiness, peace, joy and several outstanding accomplishments. I hope that this honorable day is one that provides you with every bit of opportunity that you need in order to make your dreams become such a beautiful reality. Have a gladsome celebration! There are a zillion opportunities out there, but it is all up to you to identify and take the ones that please your heart. Wishing you great success on this truly special day that marks our birthday! To be happy in this world, you just need to live simple, smile more, expect little, give a lot, worry less, and always keep in touch with your creator. Have a nice and a blessed birthday! Not until you have successfully crossed the bridge of your insecurities and fears, you can’t explore all your possibilities. I hope that we have the best celebration, dear birthday mate!